Lack of funding after the USA pull-out, added to well-publicised internal squabbling, are creating severe problems for this somewhat strange body based in South Korea. What exactly is its point? Political divisions between rich and poor countries make the board of the UN climate fund ‘extremely difficult to work with’, says green growth chief. 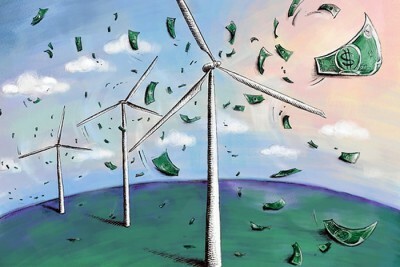 The future of the UN’s major climate fund hangs in the balance, says Climate Home News, with a looming cash shortfall and a boardroom locked in conflict. That is the assessment of international green leader Frank Rijsberman, in the most candid high-profile interview on the Green Climate Fund (GCF) since its board meeting collapsed last month. Rijsberman is head of the Global Green Growth Institute (GGGI), which elected former UN chief Ban Ki-moon as its president this year. The GGGI has worked closely with the GCF to help developing countries bypass development banks and gain “direct access” to climate finance. He told Climate Home News he wanted the fund to succeed but it faced “massive challenges”. Its most pressing issue was the need to convince governments to put in more cash, when the projects approved for grants or loans so far have barely started work. “They need a replenishment faster than they will be able to show results, meaning they will have to be replenished based on goodwill and intent, which is difficult,” said Rijsberman. Tensions between rich and poor country board members came to a head in July as they tried – and failed – to agree a process for raising fresh funds. But the fund’s problems run deeper than the immediate cash crunch, says Rijsberman, due to its unique governance structure. A core principle of the GCF is to give developed and developing countries an equal say in board meetings, unlike donor-driven funds. Their divergent interests in how best to invest makes conflict all but inevitable. As the GCF was always intended to be a massive broibery exercise to ensure UN voting in favour of UN world control, Trump was correct in cancelling American donations. With only a few months left until December, when the annual U.N. Conference of the Parties takes place in Katowice, Poland, many wonder how the world’s largest international climate fund will overcome its challenges. The bulk of the money is from the EU (inc. UK), Japan, Canada, Norway and Australia. GGGI was set-up while a South Korean called Ban Ki-moon was UN head honcho that got to choose where the GGGI was based. Then you tell me Rijsberman is head of the Global Green Growth Institute (GGGI), which elected former UN chief Ban Ki-moon as its president this year. Itchy backs in the UN and the GGGI (? ), well there appears to be plenty of back scratching. Who oversees the GGGI methods and practices, and who audits of them and the UN funds they handle? Who is accountable if when it all goes belly up?